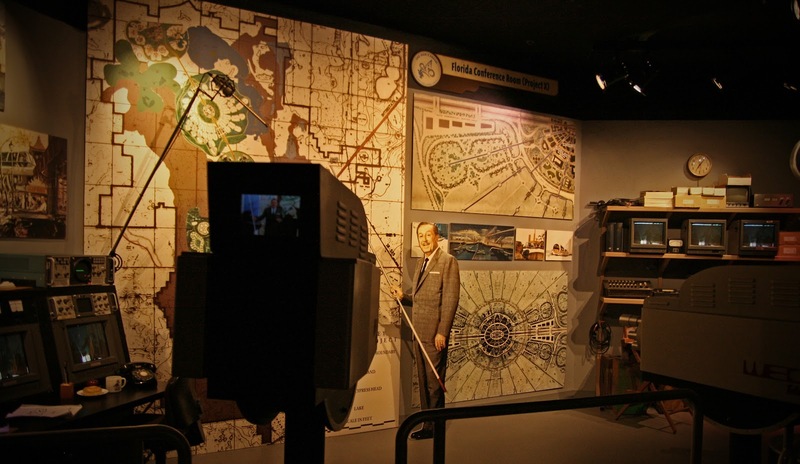 Come and join us for another installment of the WDW-Memories podcast, where I try to make it possible for you relive your Walt Disney World Memories when you can't actually be there. We'll continue our short day in Disney's Hollywood Studios today as we go learn about Walt Disney the man and his dreams to create a family friendly empire. It's almost here. Our Vacation to Florida which is including 2 days at Walt Disney World is about a week away. I can't wait for this trip. We ordered our Magic Bands earlier this week, and some of our FastPass+ and dining reservations are already set. So now just to count down the days until we're there. I'm looking forward to making more memories that I can share with all of you later, hopefully catching some of the new attractions, or new experiences with the kids. It's going to be so much fun! But for now let's get back to Disney's Hollywood Studios and our memory for today. So as I said last time, it's a hot Sunday in June of 2012, you know those kind of days that make you mealt the moment you leave the air conditioning. In memory 171, I finished up my supper on the patio outside the Brown Derby, soaking up the atmosphere while I ate my amazing Cobb Salad. Now that I'm fed, it's time to find my next attraction, Walt Disney: One Man's Dream. As I began my walk towards Mickey Avenue, R2D2 goes running by. I have to stop to get a quick photo or two, and then I'll continue on my way. We'll round the corner, head down the avenue, and into the attraction. We've got a few minutes before the film starts, so I'll wander around the exhibits, taking pictures and reading some of the details of Walt's life. Eventually, the doors will open and we'll be let into the theater where we'll take our seat and enjoy hearing about how Walt's dreams and visions carried his company from very humble beginnings to the company we see today. After the film presentation, I'll head back out to Mickey Avenue and on to my next attraction. There is something different about this attraction. It's more museum piece than show, and honestly, I'm not sure what I think of it. As a museum piece, it's in a league of it's own, riving those I grew up seeing at the Smithsonian in Washington, DC. In a park of high-powered attraction and shows, it seems to be overlooked, and stands off to the side and is often passed for something more attention grabbing. It's fun to wander through, but honestly I'm not sure how much more time I'll ever spend in here just because of the other choices there are in this park, and that's coming from a huge Walt Disney fan. It's worth a stop at least once though, and I would suggest everyone see that film so you have an understanding of who Walt Disney the person was. Now sit back. Relax. Close your eyes. And come with me as we learn about the man that created a family friendly empire.